Kiefer Sutherland Signs on for THREE MORE SEASONS of '24'. How do they cover all those tattoos? 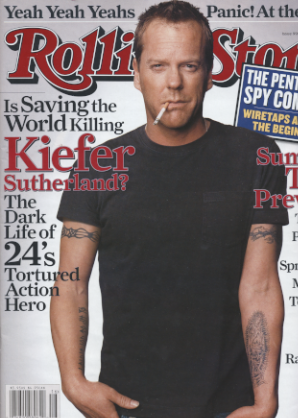 And why does Kiefer have Our Lady of Guadalupe tattooed on his arm? iTunes is currently playing: Hero's Dream from the album Picture This by Jim Brickman.